This freeform white freshwater pearl bracelet is a lovely timeless gift for her. 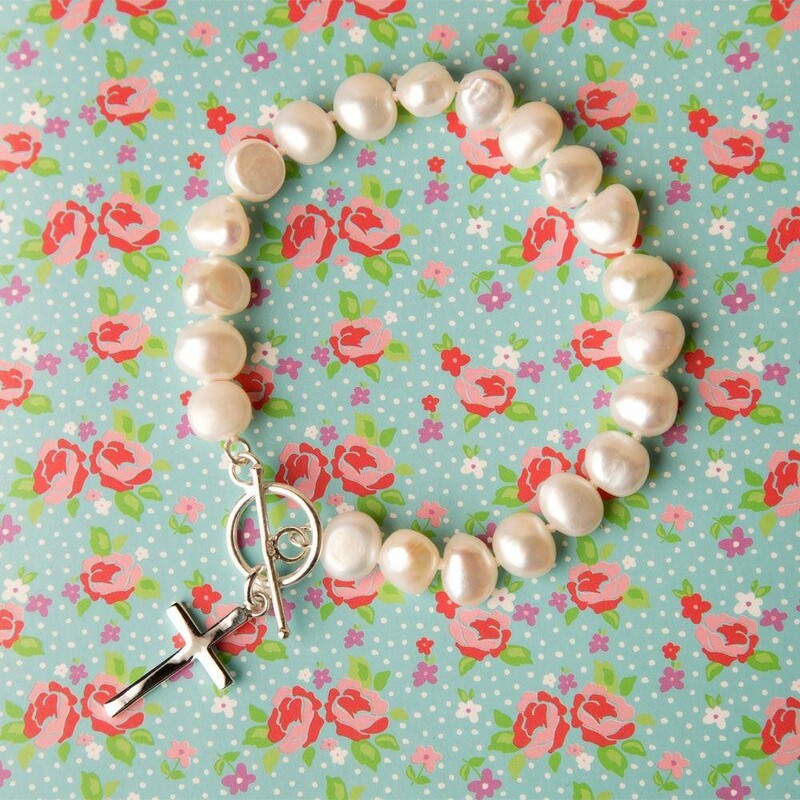 The pearls vary slightly in size and shape which makes this bracelet even more unique. These bracelets are very popular gifts for 1st Holy Communions, wedding gifts for the bride or bridesmaid or just because gifts for her. They can be worn on the special day and after the event has passed too. It closes with a solid sterling silver toggle clasp. 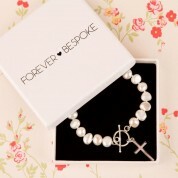 We can make this gift even more special with a cross charm. 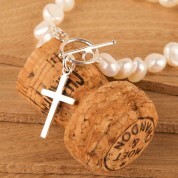 Dimensions: length approx 19.5cm, pearls approx 7mm in diameter, Cross measures 12mm x 8mm, jump ring measures 6mm in diameter.